Calls, messages, your social network and entertainment. Around the clock and mobile. Life needs energy. Fast charge and go. If you travel a lot, it's the ideal accessory. It's small and light and has a removable USB cable. Charge for ten minutes. Talk for 60. Fast charging makes it possible to power up your phone very quickly and stay on the move. Optimally designed to meet the highest environmental standards. 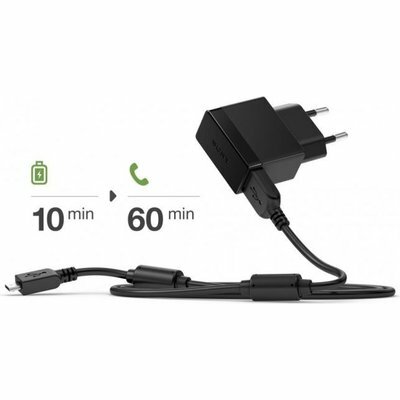 Certification includes Energy Star Level V. This charger is built for efficiency and optimum performance.